Imani Ezell '19 was honored to have been accepted to The Savannah College of Art and Design SCAD Rising Star Program for 2018 last summer and now is proud of her acceptance to SCAD for the 2019-2020 school year. 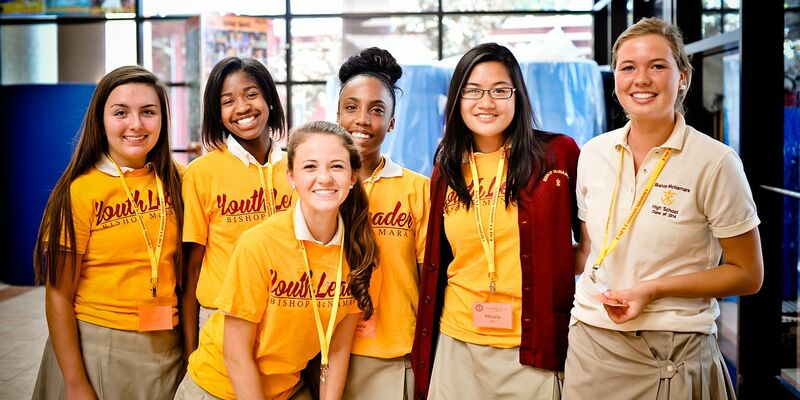 "I had the amazing opportunity to learn and attend the program called the SCAD Rising Star Program," Imani told us. SCAD has locations in Savannah, Atlanta, Hong Kong, Lacoste (France) and eLearning. The SCAD Rising Star Program is available to incoming high school seniors ready for a university experience - one which provides a challenging five-week program, awards two college-level-credit for classes taken and provide students with the opportunity to build or enhance their portfolios. SCAD Rising Star participants benefit from all of the perks of being a SCAD student — from the vast creative environments to the renowned faculty. 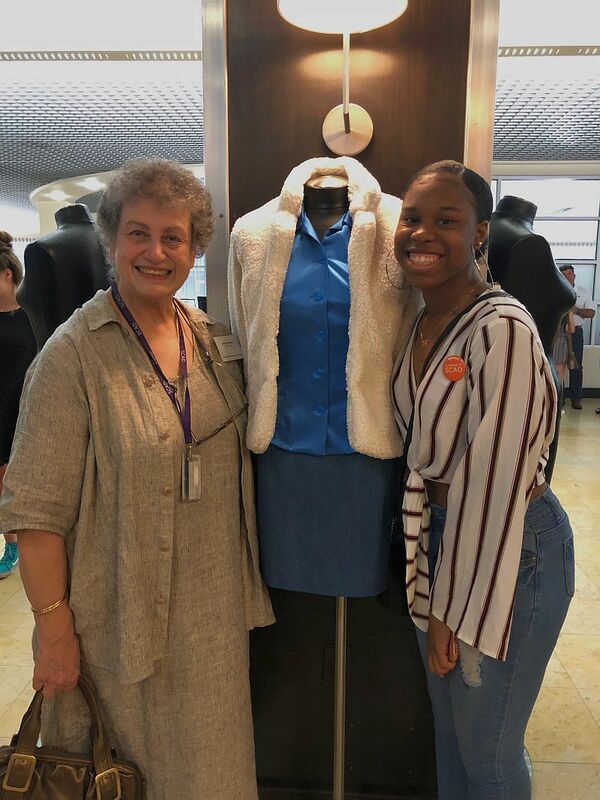 Imani is shown here in this picture with one of her professors, Professor Evelyn Pappas, who taught her Fashion Technology. The picture shows her three projects for the classes - a skirt, a shirt and a jacket - which were displayed at the end of the program in an exhibit for parents. One of the benefits of attending this course was that she was taught the basics of using an Industrial Sewing Machine - something she was very excited about. After applying for the SCAD Program, she received two scholarships: one for academics and another for achievements and awards. She chose to attend the program at the Savannah location and took Fashion Technology and Fashion Aesthetics & Style. At the end of the semester, Imani earned a GPA of 3.5 and applied to the college, getting her acceptance later along with three scholarships - one for academics, one for achievements & awards, and one for her portfolio. She plans to double major in Fashion Design and Fashion Marketing & Management with a minor in Spanish. After college, Imani plans to start her own clothing line and eventually branch out to other merchandise. "Two reasons why I fell in love with SCAD is because of the amazing people, and the creative environment. While at SCAD it is important to get to know any and everyone because networking will be important when it comes to further studies and projects." Our congratulations to Imani on her acceptance and success at the Rising Star Program, and for her acceptance and scholarships to The Savannah College of Art and Design for the 2019-2020 school year! The Savannah College of Art and Design (SCAD) was founded in 1978 to provide college degree programs not previously available in southeast Georgia and to create a specialized professional art college to attract students from throughout the United States and abroad. The curriculum was established with dual goals of excellent arts education and effective career preparation for students. SCAD prepares talented students for creative professions through engaged teaching and learning in a positively oriented university environment. SCAD offers summer programs for high school students of all ages to pursue art and design disciplines while working alongside peers from all over the world. Incoming high school seniors ready for a college experience benefit from the challenging and exciting atmosphere of SCAD Rising Star. Enrolling in two college-level classes and building professional portfolios, SCAD Rising Star participants benefit from all of the perks of being a SCAD student — from the vast creative environments to the renowned faculty.